We’ve had heavy acts “Cry Murder” and “Jones Town Syndicate” putting down some pretty amazing stuff, as well as a Debut 5 song EP from “Dead Friends” which is sure to do well. New Indie band “Mission Hall” have just completed a very lush 3 song “Taster” which we are hoping will reach radio soon. International artist “Akhter Jahan” has been in our studio almost the whole of January completing her double album in time for her headline performance at WOMADELAIDE in March. The Neve was put to good use in recording this virtuoso’s amazing vocals as well as some pretty diverse acoustic instruments!! You may remember from our last article that we were being interviewed by Australian Guitar Magazine and waiting to see how we compared with the other S.A studios. Well the article came out late October and put us as one of the “top three spots in S.A to lay down your tracks” Just after that our head engineer Matt Hills was mentioned in Rolling Stone Magazine as “Legendary Indie Rock Producer” for his work with new comers Wolf and Cub. Needless to say, we were very happy to have been noticed by these two Sydney based magazines!! The next three Months look to be filling up nicely with projects from the Audreys, Straight To Video, Beyond Mortal Dreams and Deafening Silence to look forward to. If you would like to book an interview to record with us call Luke on 8212 4827 or 0417 77 5086 and i will happily arrange a time for Matt and myself to meet with the band/artist. We have found this is an excellent way to make the recording process more enjoyable and productive as well as being a no obligation service we provide for free. Till next time, Play on!! A very busy 3 month period has seen our studio play host to some of Adelaides hottest acts and attract some more attention from over the border (Victoria this time) as we endeavour to keep helping musicians create awesome sounding records. “Straight to Video”also completed a very awe inspired record which Triple J have picked up and been playing so no doubt that should go very well!! Well done guys! “The Audreys” won some recording time with us through 3D Radio and managed to put down some very beautiful acoustic songs (some with snare and brushes) and is available through a limited CD release. Be sure to grab a copy if there’s any left, as these guys are going places!! We also had demos from “Falconer” and “Lowrider” bedtracks for “Krysalis” (who are near completion of there long awaited debut E.P) and Victorian band “Monkey Tin” ventured across the border to lay down some very cool tracks. “Wolf and Cub” spent time recording a single for their follow up E.P and blew our minds with their experimental style and unique sounds. Head engineer Matt Hills pulled out the stops as per usual and we all look forward to hearing what else these guys have in store for us!! NEW gear for the studio!!! That’s right folks I’ve been at it again hunting down more cool stuff for you to play with!! An original Fender Rhodes Keyboard as used by the likes of Ray Charles, Stevie Wonder, Prince, Radiohead and countless other huge names will find a permanent home at the JR Studio. For any keyboard players this will be sound worth experiencing! (There is nothing quite like the real thing). Also a Fender Vibroverb guitar amp will accompany the existing Mesa Boogie quad to give guitar players awesome diversity when selecting tones..
available to use but we require at least 2 weeks notice.. and its FREE!!! and discuss recordings contact Luke on 8212 4827 or 0417 77 5086. Till next time Play on!! Well its been an exciting couple of months in the studio with our new upgrades and super engineer Matt Hills being put through the paces! Adelaide heavyweight TRUTH CORRODED have pretty much been living in the studio with recording and mixing their new album “ Our Enemy is the Weapon” with any luck it should get mastered in the U.S.A and according to head engineer Matt Hills is one of the biggest records he has worked on. Needless to say everyone here is pumped about it!! Possible release early next year so look out!! We’ve had heaps of other acts as well including an awesome three song “TASTER” from Arcadia who were an absolute pleasure to work with, another three song demo from first timers “Ruxspin” (these guys really surprised us with some very cool song writing) Lowrider, one of Adelaides top cover bands have just completed a very slick 10 song recording to propel them into the corporate market. Some of the most highly regarded Jazz Muso’s in Adelaide including Phil Cunnean on Keys, John Stephens and Laurie Kennedy on Drums and Tim Bowen on bass are currently in the middle of putting down some tracks with Rick Greening on Vocals in another recording.. It would seem that all of hard work is making some head way into the industries cause we got a call from Australian Guitar Magazine wanting to put us in an article they were doing on S.A recording studios. We look forward to seeing this article in September, October edition and see how we compare!! Our most exciting news i have saved until last!! Somehow while searching for more cool vintage gear to put in the studio i stumbled across the “Holy Grail” of recording... NEVE 12 channel bucket complete with compressors, gates and that superb e.g that has appeared on so many of the worlds greatest recordings. Needless to say it wasn’t cheap but after some serious negotiations and a whole list of “Please Please Please let me buy it”.... we were th proud new owners of one very series piece of music history!! Anyhow turns out this particular Neve used to live in the BBC studios London!! My mind has been working overtime trying to guess who may have recorder through it over the last decade, i’ll be sure to keep you posted as we discover more!! Welcome to the first artical of “For the Record” a new segment where we will keep you updated with news from the recording studio as a regular spot in the drummers news. As many of you may be aware, we have had the JR Recording studio in “Lockdown” for nearly a month while we complete major upgrades. 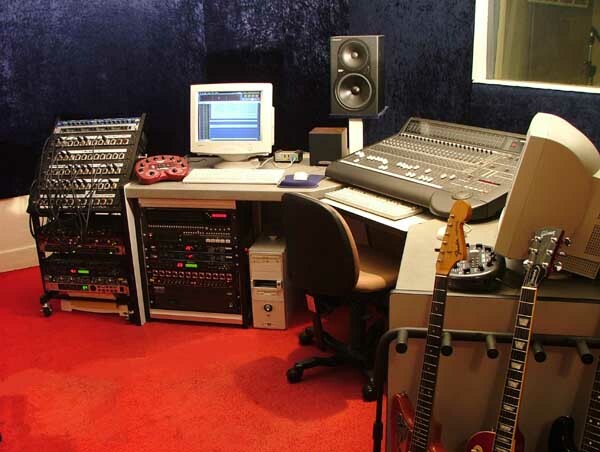 Creation of separate recording rooms has been archived including: Dead Vocal Booth, Common room, Amp Booth and most importantly for all you DRUMMERS...... A dedicated “Live Room” just for drums. To top it all off a custom made patch bay complete with “Tie Lines” to every single room and access points to the huge concert room has been finished, brining us into line with our interstate counter parts as a proffesional Album making studio. Amidst some competition from other studios J.R Recording has managed to secure the services of a much sought after Melbourne Engineer MATT HILLS!!!!! We are very excited to have Matt on board as he is one of the countries most respected engineers and brings with him a wealth of knowledge and experience spanning over a decade in the industry. The studio will be reopening on the 8th May with Matt at the Helm and we welcome everyone to come in and check it out.